Blanche has long been consumed in the Armagnac region but you had to know a distiller in order to obtain what was flavoursome hootch. However, in 2007 this unaged Armagnac spirit was officially recognised by the French authorities and brought under Armagnac's Appellation d'Origine Contrôlée. 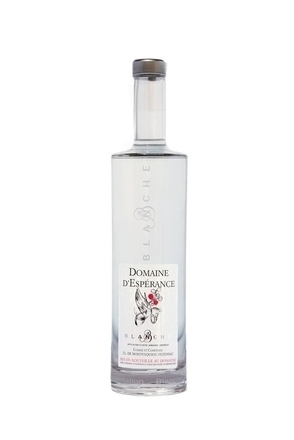 Blanche Armagnac may be made from any of four grape varieties: Folle Blanche, Ugni Blanc, Colombard, Baco Blanc. 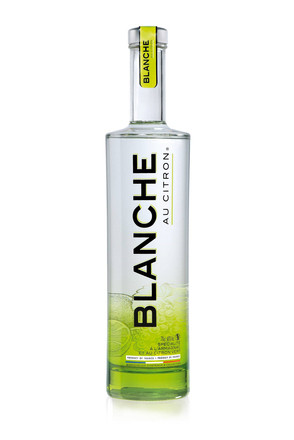 However, most favour Folle Blanche for its aromatic fruity finesse. The grapes used must have been cultivated in designated vineyards within the Armagnac region. 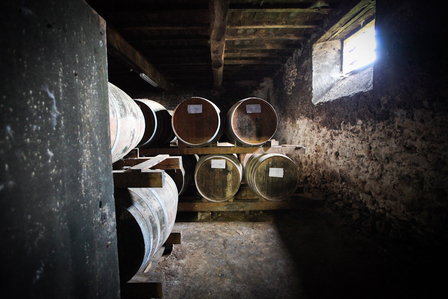 The wine of these grapes is distilled using an alambic armagnaçais, a simple column still specific to the Armagnac region. The distillate comes off the still at a relatively low alcohol strength, so retaining much of the grapes fragrant character to produce a clear distillate not dissimilar to Chilean Pisco. This grape distillate is not barrel aged but may be reduced with water to a bottling strength that must be a minimum of 40% alcohol by volume. 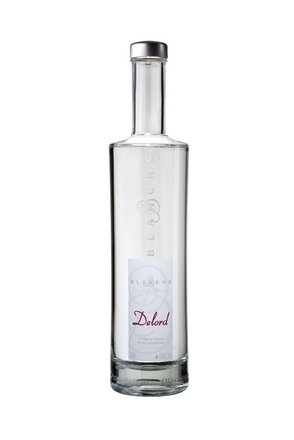 According to the strict rules of the Appellation d'Origine Contrôlée, before a batch of Blanche may be bottled its quality must be passed by a panel of official experts. A relatively new addition to the Armagnac Appellation, these Armagnac eaux-de-vie have pungent fruity and floral aromas and are not unlike Pisco in character.